When it comes to finding an auto repair shop it is important that you select a business that has a proven track record of providing high quality service. There are a few important traits to seek out to ensure that you do in fact end up with your car in the right garage. Freeport Automotive should be your choice for professional auto repair in Sacramento for a number of reasons, including the following. The technicians at Freeport Automotive are ASE certified. The National Institute for Automotive Service Excellence tests technicians on their skills in a variety of arenas, including specifics systems, tool usage and customer service capabilities. Technicians must have at least two years of experience before being allowed to test for the first time and must retest in their area every two years to maintain their certification. To ensure your vehicle is fixed right the first time it is important that quality parts are used. As an ACDelco distributor you can rest assured that your vehicle will be treated to original equipment manufacturer (OEM) parts. Founded in 1990, Freeport Automotive has been providing quality automotive services to friends, neighbors and other community members in Sacramento and the surrounding towns. Their ability to keep their doors open for nearly three decades is a great showing of their dedication to quality service. The management at this auto repair shop regularly invests in the latest computer aided diagnostic and repair equipment to ensure that their team is able to service all vehicles on the road, even the ones that just left the factory. There is no need to return to the dealer to have your car serviced, you can simply head to Freeport Automotive to receive the same great service but at a fraction of the price. 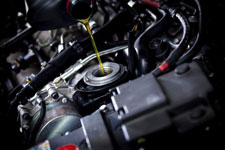 Don't hesitate to call them when your vehicle is due for an oil change, timing belt replacement or other 30/60/90K service. When it is time for auto repair in Sacramento, it is time to visit Freeport Automotive. To learn more about our high quality auto repair and maintenance services, or to request a quote or an appointment for auto service in Sacramento, be sure to give us a call at (916) 389-2405 today.